On the banks of a creek near Jerusalem stands an enchanted forest, its trees shrouded by giant cobwebs woven by long-jawed spiders. 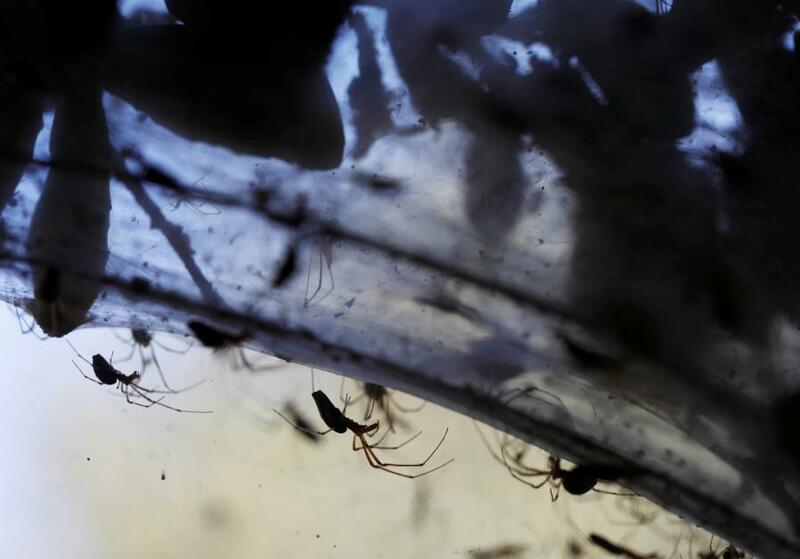 Science and nature combined to create the unusual sight: the Soreq creek largely contains treated sewage full of nutrients that promote the proliferation of mosquitoes that serve as a source of food for spiders, which then reproduce in multitudes. “It’s an exceptional case,” said arachnophile Igor Armicach, a doctoral student at Hebrew University’s Arachnid Collection. He said millions of long-jawed spiders created the webbing that envelops the forest, a phenomenon rarely seen in the Middle East. But while spider egg sacs and spiderlings are everywhere along the banks of the creek, the future is bleak. Colder temperatures will soon cause a drastic drop in the mosquito population that sustains the web-weavers.